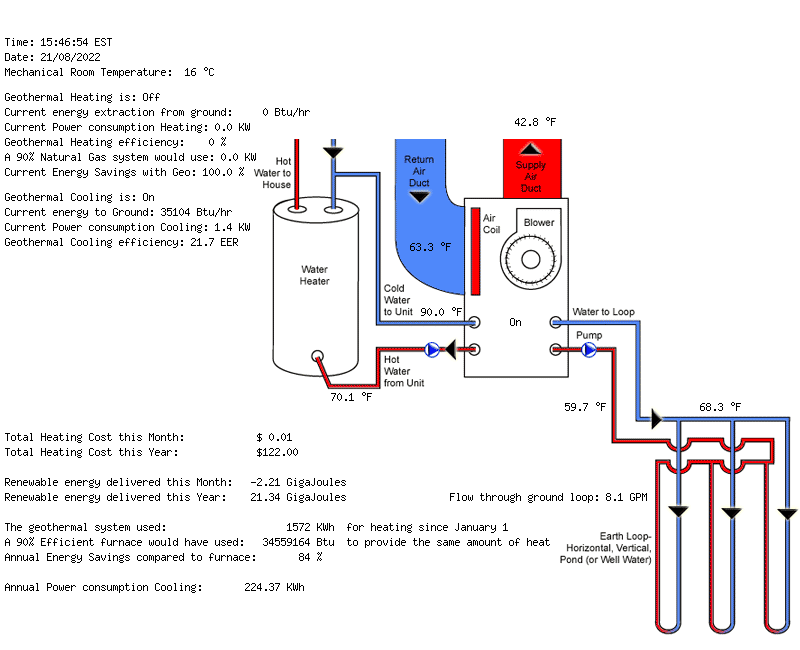 This is a geothermal system for a 2,200 sqft split level detached house located in Calgary. The house has a 3-ton forced air geothermal system. (Note: only visible in browsers that support Flash).